Long-time Bowhunter Editor Dwight Schuh had a big smile on his face as we met in a busy hallway at the SHOT Show in Las Vegas. It was our annual trip to Sin City in search of the new year’s latest hunting products and, quite frankly, we bow guys sometimes felt out of place and overwhelmed along the Vegas Strip. But Dwight was all smiles, looking as though he’d serendipitously met an old friend. And he had. In his hand was a shiny silver dollar. "Where’d you win that?” I asked him, now with a bright smile on my own face. Old School. That was John Burgeson, co-founder along with his brother Brian, of the remarkable company we’ve come to know as Wildlife Research Center. John could be tough customer, too. I remember how hard he made us work to gain his trust — and his ad dollars. Young sales team members were more than a bit sheepish around burley John Burgeson. But he’d been burned early and overspent in marketing and from that point on John was going to make sure that whatever he bought was a fair deal. Regardless of where he was investing his marketing dollars, be it print, television, or online, John expected his money’s worth. And that’s what he got. But he also made his own customers a “100% Money-Back Guarantee” on the products they bought from him. A tough Upper Midwestern kid from the suburbs of St. Paul, John spent a lot of time in the outdoors, hunting and fishing, but it was on the wrestling mat that his super-competitive nature first came to light. John excelled as a wrestler throughout his youth and eventually served as captain of the now Augsburg University wrestling team that challenged for the national title his senior year. 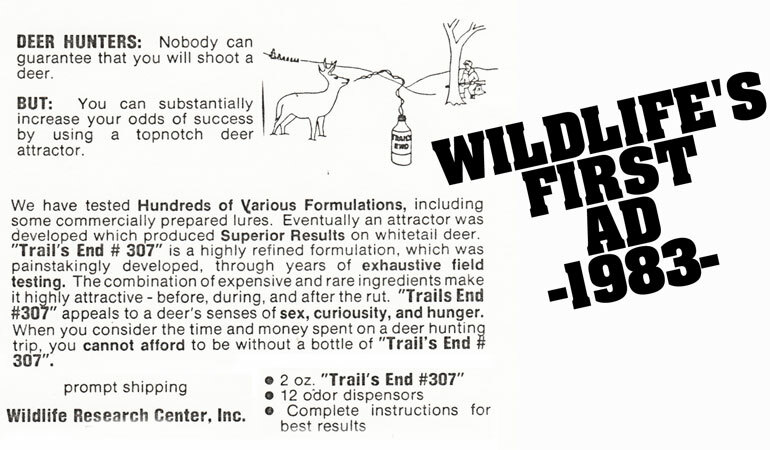 Upon graduation, John applied that same dogged determination to meeting the challenge of starting a couple of new businesses, one of which was Wildlife Research Center, after he and brother Brian famously introduced the deer attractor Trail’s End #307 (named after the approximate number of formulations they tried before landing on the right mix). From the very beginning, the Burgeson brothers were dedicated to sound business and brand-building principles and, of course, to bringing the finest science-inspired scent and scent-elimination products to market. First came their long line of amber-bottled lures, culminating in today’s super-premium Special Golden Estrus. 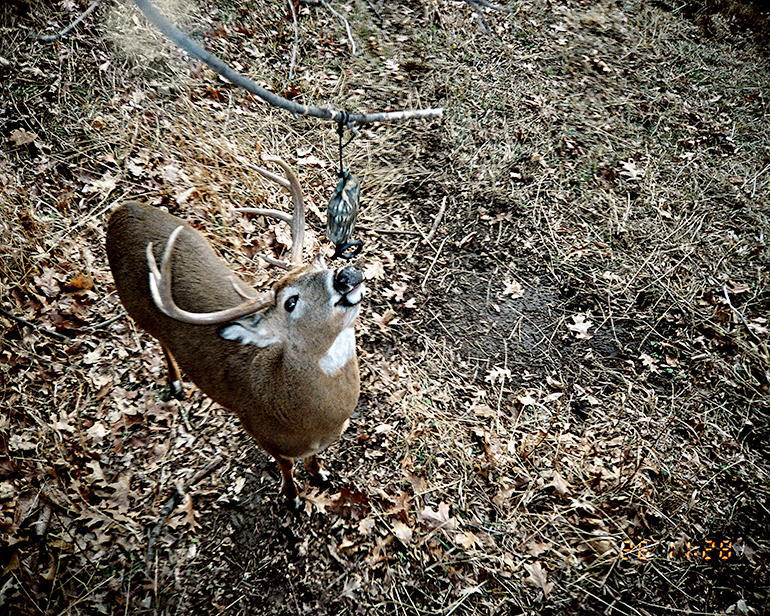 Then, a variety of scent dispersal products from unique, synthetic felt wicks (think Key-Wick) to their amazing drippers (think game-changing Magnum Scrape-Dripper that not only makes lure last longer but inspires daytime buck visits). And then there’s the original odorless scent eliminator, Scent Killer (think Super Charged Scent Killer, “99% effective at stopping replicated human odor — 10 days after drying — in testing at Rutgers University,” and now available in an array of products for body, clothing, and gear). Make no mistake, over the ensuing years since the Burgeson brothers founded Wildlife Research Center in 1983, the team has built an impressive resume of new product introductions. Many of the products were revolutionary at launch time, and they are surely evolutionary now. But rest assured, this family run business that started 35 years ago and progressed from a barn to an industrial park location to their current state-of-the-art facility outside of Ramsey, Minnesota, has a bright future. In fact, even with the loss this past spring of their beloved co-founder John Burgeson, you might say that their future is Golden. John’s son, Sam, who had joined the company after working in other fields, and having studied chemistry and chemical engineering, is following in his father’s formidable footsteps. 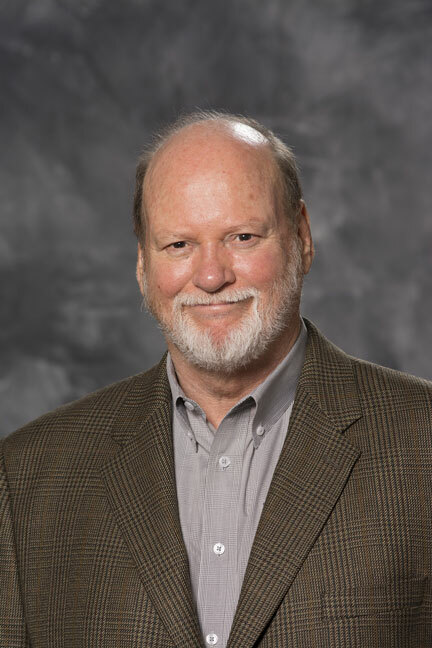 He has made significant contributions since joining the company over 12 years ago, and has been the President of Wildlife Research for a couple of years now. 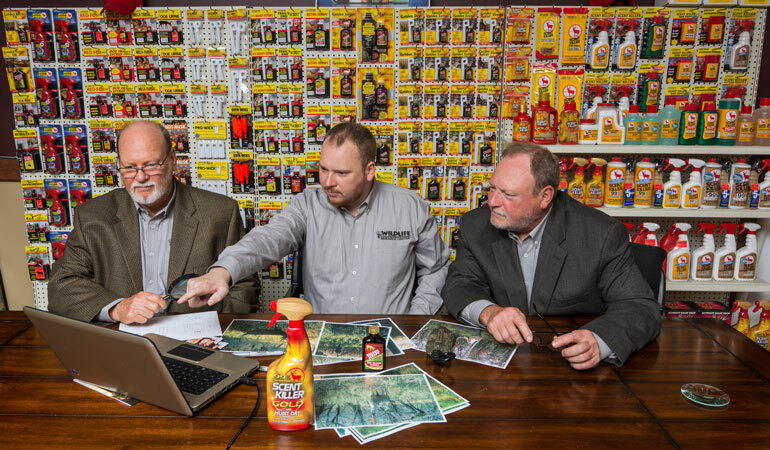 The Wildlife Research Center team continues to work hard as ever, to innovate and introduce cutting edge scent and scent elimination products to help hunters be more successful. John would expect nothing less. 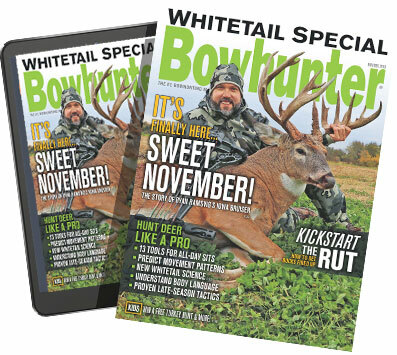 Without a doubt, the hunting community has a lot to be thankful for at this time of year, and the Bowhunter Magazine team is especially appreciative of those folks in the industry who have not only made solid contributions that enriched our time afield but also who have been solid marketing partners and first-rate friends. With that thought, we offer a respectful tip of the camo cap in honor of John Burgeson and the Wildlife Research Center Family. Thank you for 35 great years!